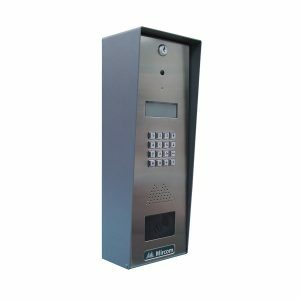 Surface mount paper directory telephone entry system with a 4 line by 20 character scrolling paper directory that helps easily find residents. 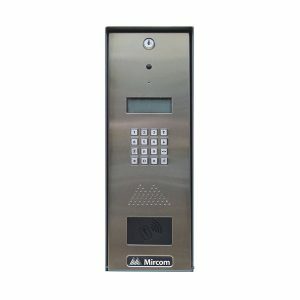 Mircom’s TX3 Paper Directory Telephone Access Systems are designed to provide primary resident/visitor access control for small condominiums, apartment buildings, office buildings, gated communities and industrial buildings with up to 120 residents or users. 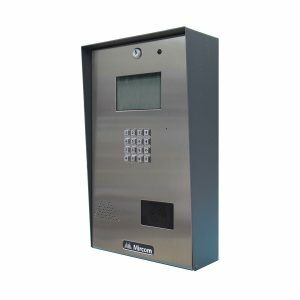 These units come complete with a microphone, tamper resistant speaker and have provisions for a postal lock and color camera to be installed. 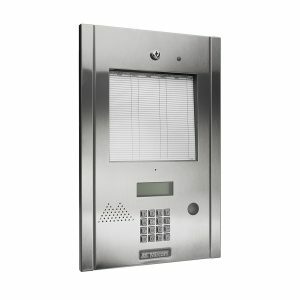 The TX3-120U-A Universal Series surface mount enclosure features a built-in rain hood and is constructed of a heavy gauge stainless steel. 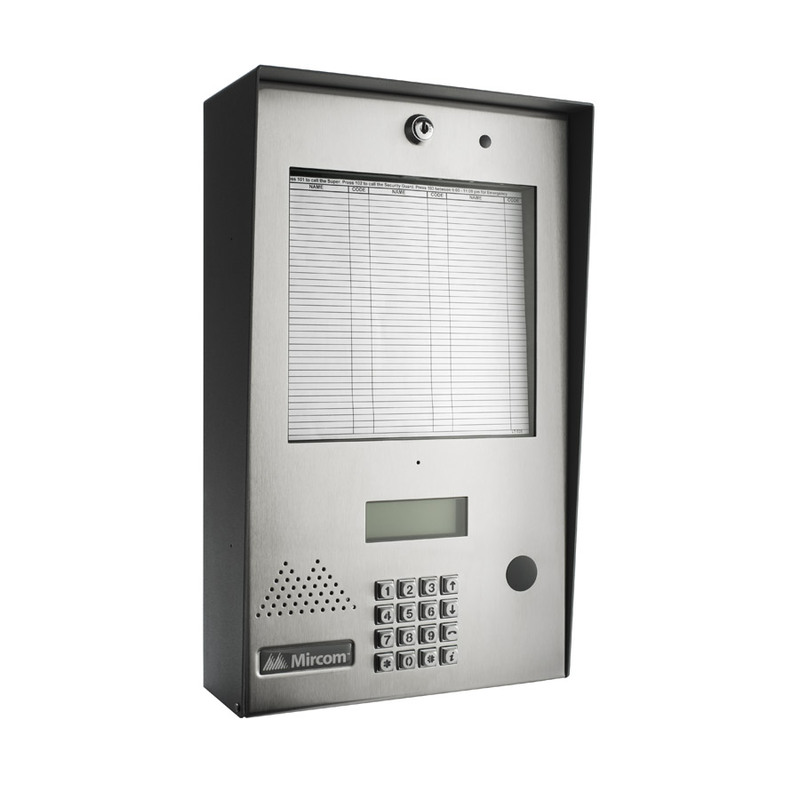 This unit can be used in a lobby or outdoors and supports surface, semi-flush or pedestal mount applications. 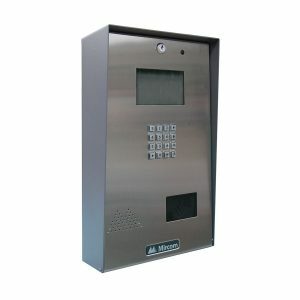 It features a back-lit 4 line by 20 character scrolling LCD display that shows a banner message as well as the directory names and dial codes. 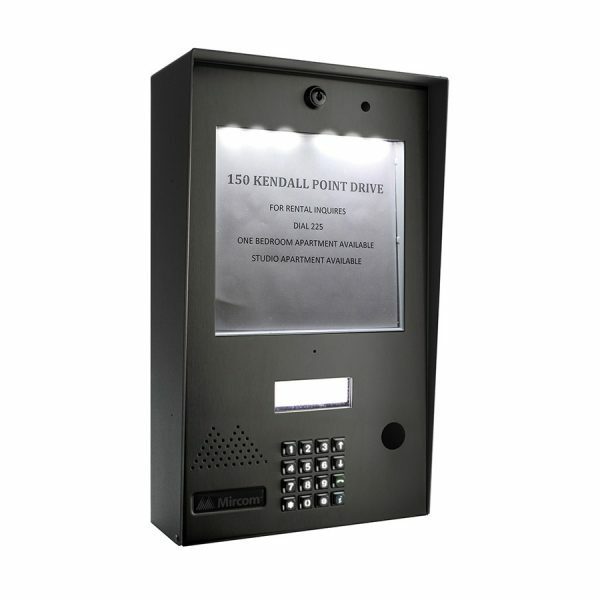 In addition these systems feature a built-in illuminated paper directory allowing the visitor/user multiple methods of looking up a resident dial code. 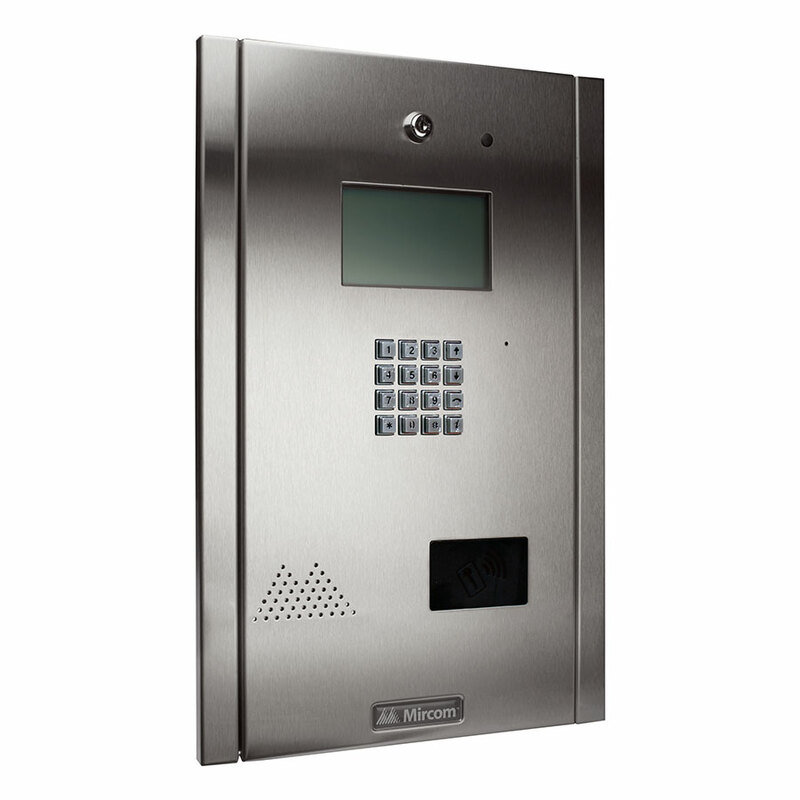 The systems also feature a 16 digit backlit telephone style keypad with dedicated operational buttons for Page Up, Page Down, Call and Info. In addition, the system features a configurable multilingual display and voice prompts with a choice of English, Spanish, or French-Canadian.